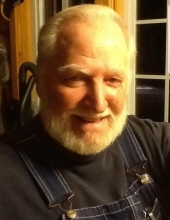 Lester O. Hanke, age 86, of Tomahawk, and formerly of Harshaw, WI, passed away on Sunday, April 7, 2019 at Gundersen Lutheran Medical Center in La Crosse, WI . Les was born February 5, 1933 in Chicago, IL to the late Lester E. and Marcelline (Taylor) Hanke. He grew up in Chicago and attended school there. Les served in the United States Army during the Korean War. He was married to Lois Bassett in 1962; she passed away in 2013. Les and Lois moved to Huntley, IL, where they raised their three children and owned and operated the Green Onion Restaurant. They moved to the Harshaw area in 2000. Les loved living in the Northwoods. Survivors include 2 Sons, Daniel (Karen) Hanke of Apopka, FL, and Matthew Oliver of Dixon, IL; 1 Daughter, Nancy (Dennis) Fox of Dundee, IL., 5 Grandchildren and 2 Great-Grandchildren. Les was preceded in death by his Parents, Lester E. and Marcelline Hanke, and his Wife, Lois in 2013. Private Graveside Services for Lester O. Hanke, will take place at Union Grove Cemetery in Harshaw, WI. To send flowers or a remembrance gift to the family of Lester O. Hanke, please visit our Tribute Store. "Email Address" would like to share the life celebration of Lester O. Hanke. Click on the "link" to go to share a favorite memory or leave a condolence message for the family.